The proposed new toll lanes on I-495 and I-270 would be built as part of a public-private partnership program. They'd be free and open to transit vehicles, but one official doesn't believe that's enough for people who want an alternative to driving. 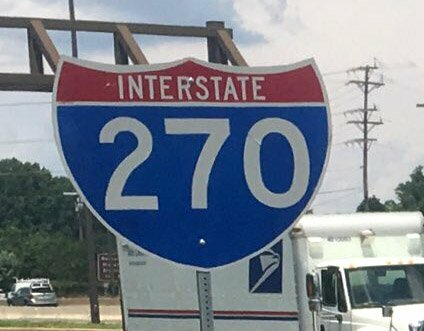 A plan to ease traffic with new toll lanes on Interstate 270 and Maryland’s section of the Capital Beltway isn’t going over well with some Montgomery County leaders, who believe more should be done to include transit. “I’m concerned that this project doesn’t really have a strong transit strategy to connect Montgomery County to Northern Virginia,” Council member Hans Reimer told Maryland Secretary of Transportation Pete Rahn at a public hearing Tuesday. The proposed new toll lanes on I-495 and I-270 would be built as part of a Public-Private Partnership Program. They’d be free and open to transit vehicles, but Reimer doesn’t believe that’s enough for people who want an alternative to driving. The council would like to see, for example, bus rapid transit access to toll lanes with dedicated ramps, which Reimer realized would cost several hundred thousands of dollars. “Yes, we can look at what that would require,” Rahn responded, but he stressed that the No. 1 priority is not a portion of a project but rather systemwide improvements to regional congestion. “Any proposed addition to this program that makes the project financially unviable is just something that could not be incorporated into it, because we don’t have the resources to add to the project,” Rahn said. At the hearing, council members also voiced concern about rights of way and the potential loss of homes and businesses; the potential for toll lanes to push traffic into neighborhoods; the question of whether toll lanes are fair to less-affluent households; and whether carpoolers would have free access to the lanes, and transparency. Rahn said that his office has recently compiled a list of 700 neighborhood associations and community organizations, and that the office is reaching out to them to promote upcoming public workshops in April and share information about how groups can request informative events for their communities. When asked whether the project would advance without the support of area county councils, Rahn instead answered with a vow of collaboration. Proposals from companies that want a 50-year deal with Maryland to build, operate and maintain the new lanes are expected to be filed in the summer of 2020.